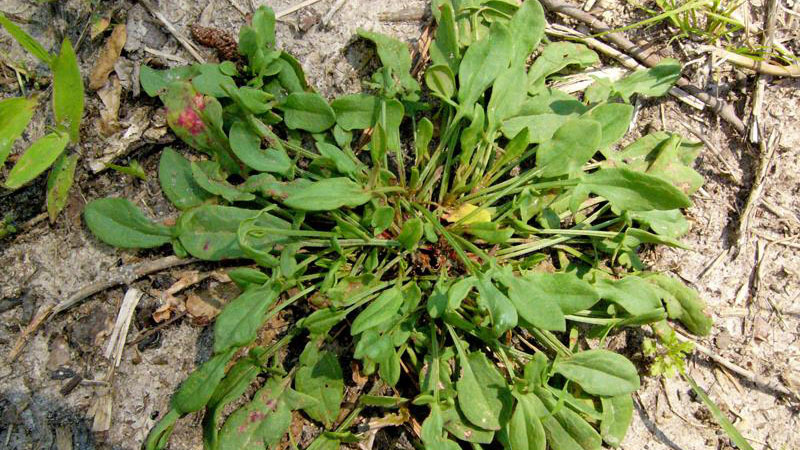 Red sorrel is a perennial that is common in pastures, turf and nursery crops. 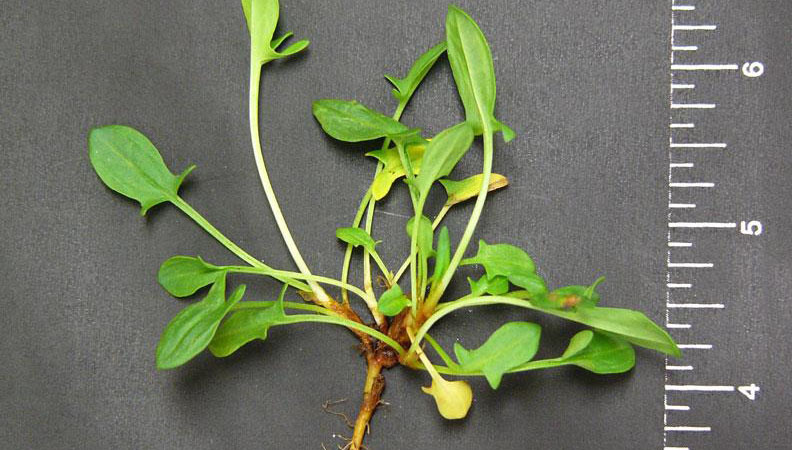 It is found in areas that have low nitrogen levels in the soil and poor drainage. 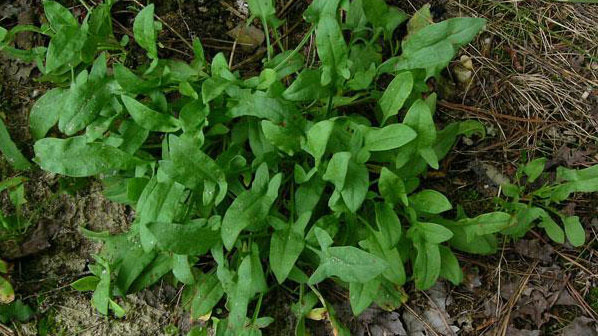 The leaves have a very bitter taste that resembles sour apples, and can be fatal to livestock when eaten in large quantities. 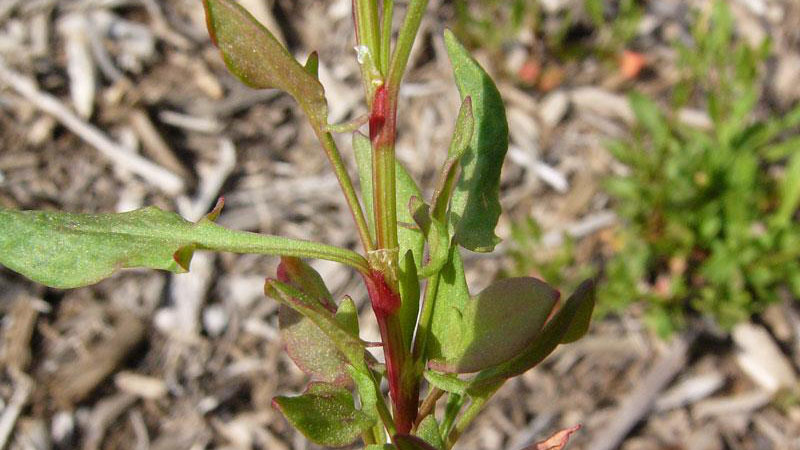 The mature leaves of red sorrel have a very unique arrowhead shape, and form a rosette. Figure 1. 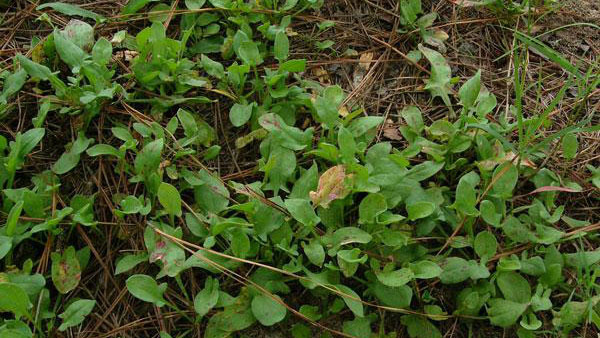 Red sorrel growth habit. Figure 2. 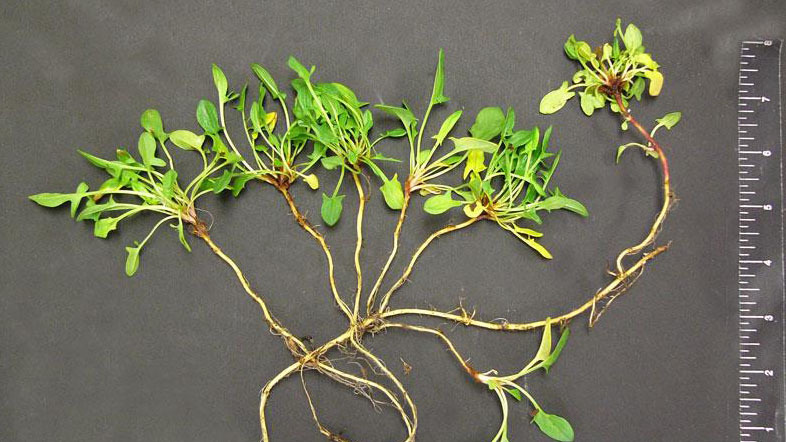 Red sorrel growth habit. Figure 3. 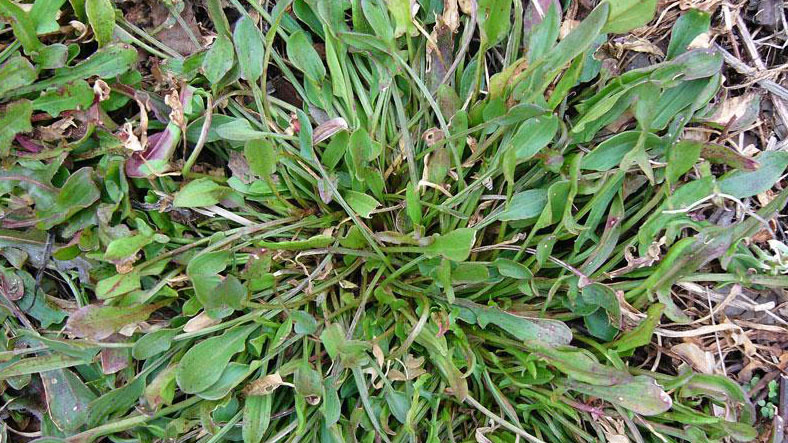 Red sorrel growth habit. Figure 4. 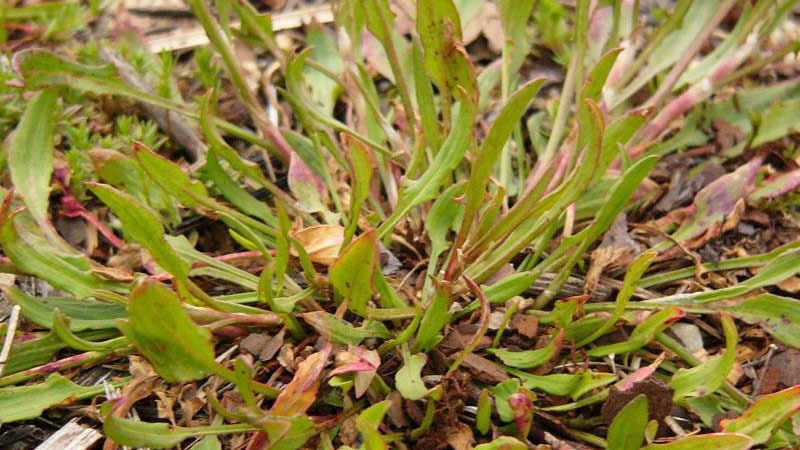 Red sorrel growth habit. Figure 5. 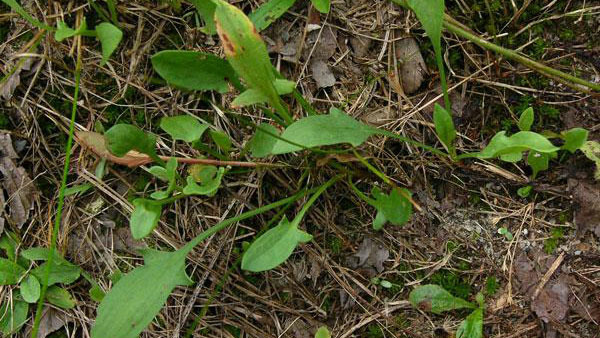 Red sorrel growth habit. Figure 6. Red sorrel growth habit. Figure 7. 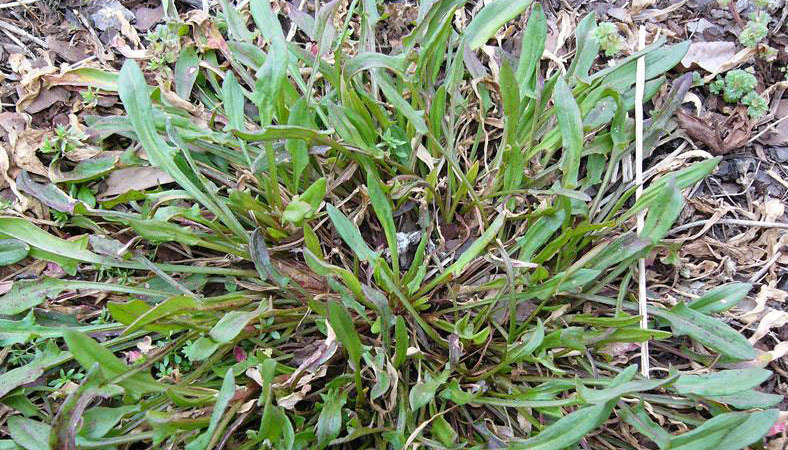 Red sorrel growth habit. Figure 8. Red sorrel growth habit. Figure 9. 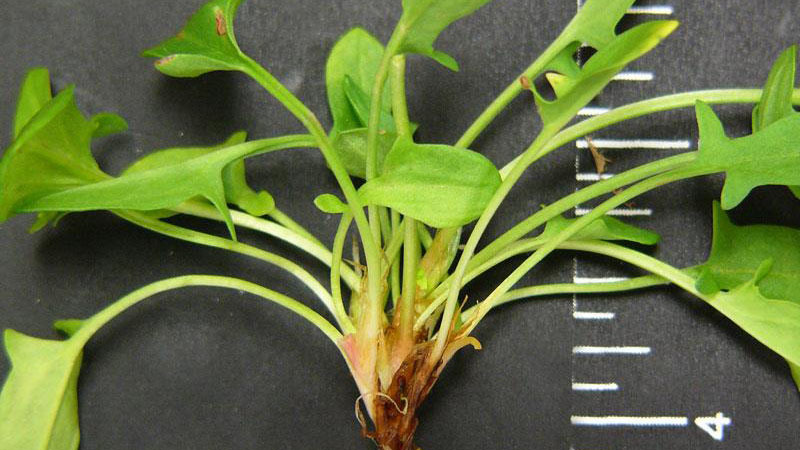 Red sorrel leaflet shape. Figure 10. 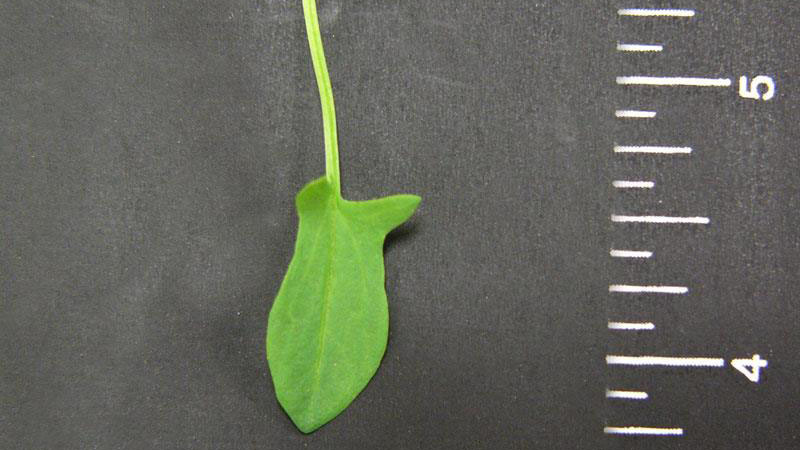 Red sorrel leaflet shape. Figure 11. Red sorrel leaf arrangement. Figure 12. Red sorrel leaf arrangement. Figure 13. 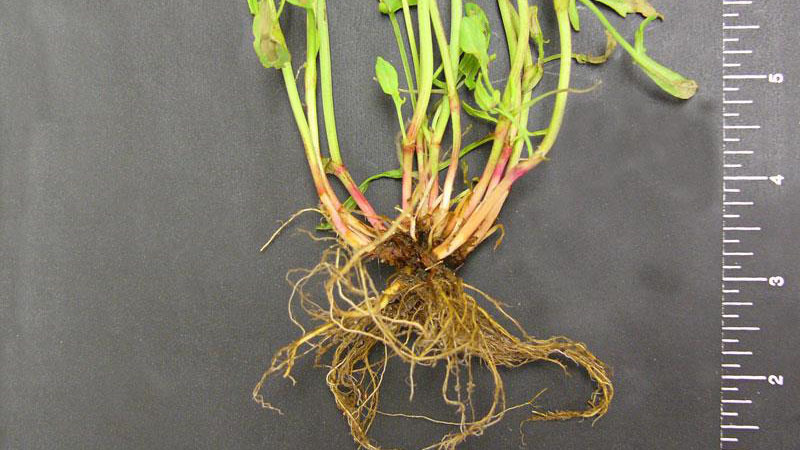 Red sorrel root type.